As another year is about to end, there will be lots of focus on new things that are upcoming regarding technology and technological advancement. But before we indulgence in all that is coming, let’s take a short detour to what all we have achieved, accepted and incorporated in the world of mobile app development in the year 2017. With the increase in the use of GPS and its secure connectivity on smartphones, location-based services have grown. With the demand for location preferred services rose the desire to continue mobile application that supports such services. This trend of 2017 is undoubtedly going to touch new heights next year. Such apps have only one constraint that they use a lot of mobile battery, which restricts optimum utilization of this technology. Hopefully, the coming years will see this advancement and upgrading where the location-based services will require less battery to operate. And probably this is what is expected from mobile app developers to incorporate in their upgrade list. Use of AI or Artificial Intelligence in developing mobile applications and enhancing app user experience has been the center point during this year. Although it’s still growing, developers are keen on using it in the graphics that can change according to your situation or mood. Like the picture, the display can vary according to your position using the self-learning ability of the app. A lot of innovation is yet required in this area, but the majority of app developers are using the AI to personalize features in the mobile application based on user’s preferences and location or any other fed-in data. It’s hopeful to see some revolutionary changes in the use of this technology in providing better mobile app services. The year didn’t see much shift in the app designing sphere. Still, the designers are concentrating on UI/UX, and I don’t see there will be any significant changes in the coming year. 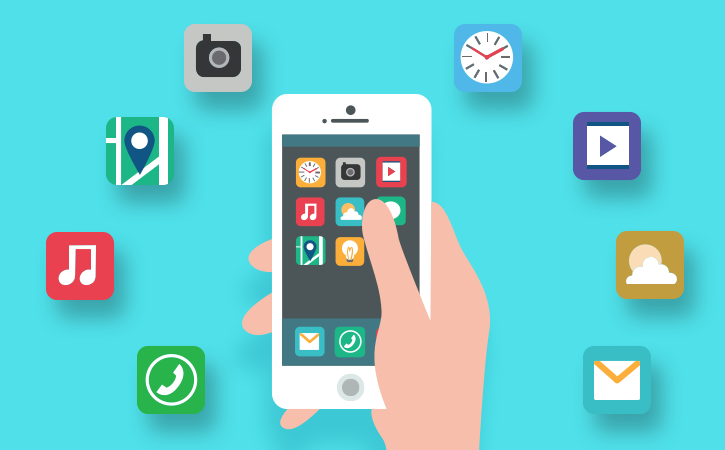 The considerable resonance behind it is that people want their apps to be visually appealing, creatively designed to entice the user, like using more animation, graphics, and illustrators. With designing trends like grid-based, micro interactions, splash screens, parallax graphics that are trending this year, they seem to continue the trend in the coming year as well. Well, these inevitably have been ruling the tends in the mobile app development market, yet new and creative ways of using the same technology can be adapted to come up with excellent ideas in mobile app development. If you are keen on getting a mobile app for your business, you must follow what’s trending, since users are more confident about the technology they are aware of or are using. But you must also pay attention towards the service provider. If you don’t consider an up to date service provider, you might end up getting an old mobile app rather than the trending one. Experienced mobile app development service providers like Maxtra technology are your sure shot to an updated, sophisticated and technically advanced mobile app that is both innovative and efficient. App development needs some essentail feature and that are Simple and User-Friendly Interface, Fast Loading Speed, Supporting the Multiple Languages, Enterprise App Features which an app perfect. How to Maintain your SEO Rankings when Redesigning a Website? Mobile App: Why It is Matter of Growth for Your Business?